GEG-tech is a French biotechnology company developing high performance vectorization systems based on lentiviruses. Its expertise relies on a 15-year experience R&D team. GEG-tech constantly innovates to improve lentiviral vector features, capabilities and safety. GEG-tech products and services are designed with the constant aim of empowering research projects, helping tackle exciting challenges. GEG-tech proposes a catalog of more than 3.000 products, regularly enlarged to better answer users’ needs. All products are uniquely customizable with a large choice of transgenes, promoters, integration features or cell targeting specificities. Thanks to specific production methods, based on transient transfection instead of a stable producer cell line, each element can be modified at will to design the perfect vector. GEG-tech can offer custom solutions to answer very specific needs. Vectorology experts help researchers getting the best from their experiments. Lenti-ONE vectors are integrative vectors derived from HIV-1. They allow robust and long term transgene expression no matter if the target cells are dividing or not. Lenti-ONE Epi vectors are non-integrative Lenti-ONE vectors. They allow transient transgene expression in dividing cells and long term transgene expression in non-dividing cells. Lenti-ONE Trans vectors are derived from Lenti-ONE vectors. These are RNA vectors allowing fully transient transgene expression no matter whether the target cells are dividing or not. Aiming to cover all customers’ needs GEG-tech offers several On-Demand services. On-Demand services are made to produce customized vectors using a new combination from elements already available in the catalog with a specific titer value, a large volume, customers own promoter or transgene… Through advanced service GEG-tech can provides advice and help and accompany you throughout every step of the design of user’s perfect vector. 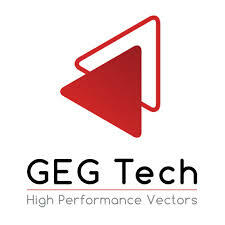 GEG-tech is a unique on-line platform where customers can easily construct their own vectors with different elements present in the catalog and order it on-line. In addition GEG-tech makes available data about lentiviral vectors and everything users need to know about lentiviral vectors with useful videos to explain fundamental knowledge, technical tips… Everybody can come and pick ideas about how to use lentiviral vector technology and optimize research project. This entry was posted in Biotech Companies, Biotech Companies France and tagged GEG-tech, GEG-tech - vectorization systems, Lenti-ONE, Lenti-ONE Epi, Lenti-ONE Trans, Lenti-ONE vector, Lenti-ONE vectors, lentiviral, lentiviral vector, lentivirus, lentiviruses, vector, vectorization system, vectorization systems, vectorology by Biotech365. Bookmark the permalink.